E. 1 mi. Founded 1906 as S. Miss. College. Operated by Bapt. as Miss. Woman's College 1911-40. Coeducational 1953. 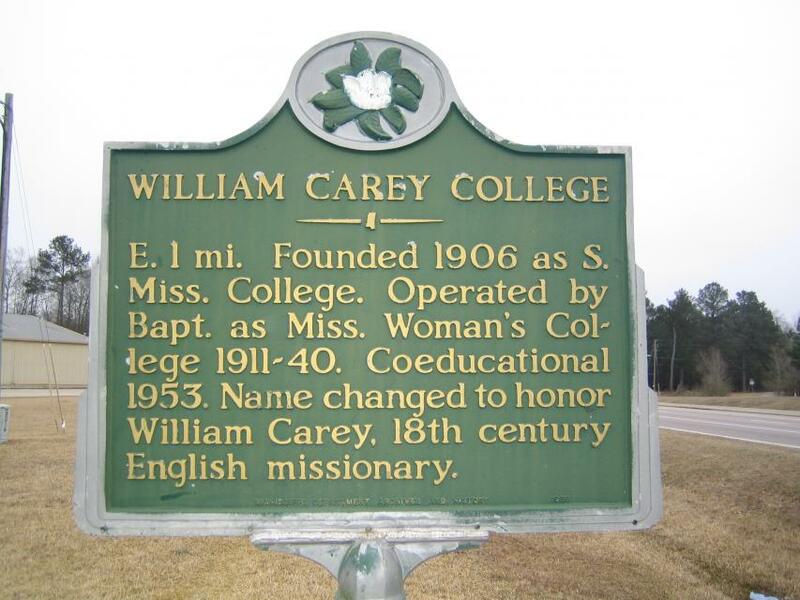 Name changed to honor William Carey, 18th century English missionary. This marker can also be identified by its HM code. You can use the hashtag #HMQOF in tweets, and any other place where you might refer to this marker, including when searching on this site.